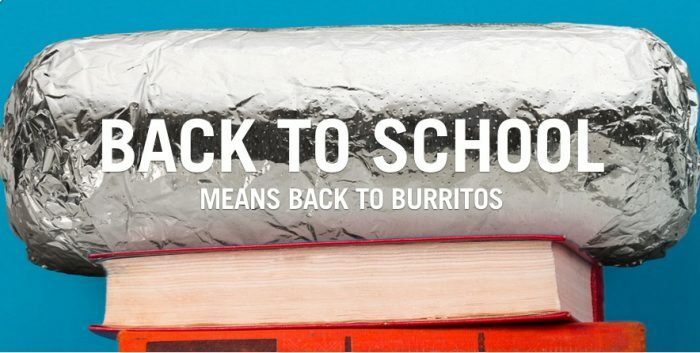 On Saturday, August 18, 2018, Chipotle is offering Buy One, Get One Free all entrees (including kid’s meals) for all students! Simply tell your cashier you’re a student and ask them to hook you up! To redeem in-app or online, order two entrees, click “View or Redeem Offers”, choose “Add an Offer” and enter the 7-digit offer code STUDENT. Valid only on August 18, 2018.